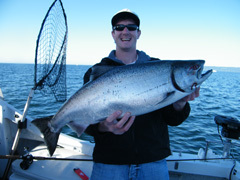 King salmon is OPEN NOW through August 31! 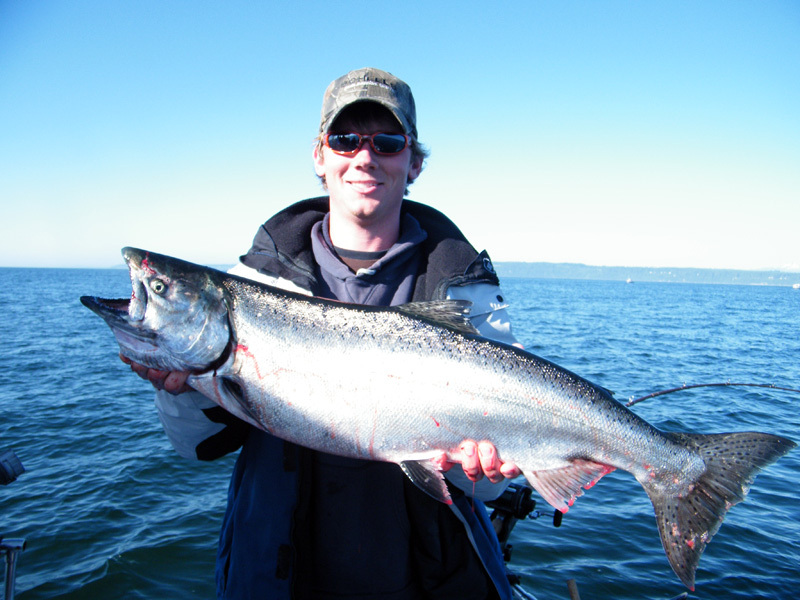 King Salmon are the largest and hardest fighting of all salmon and are one of the best eating fish anywhere. Kings are also called Chinook or in the winter season black mouth. These are the big trophies. 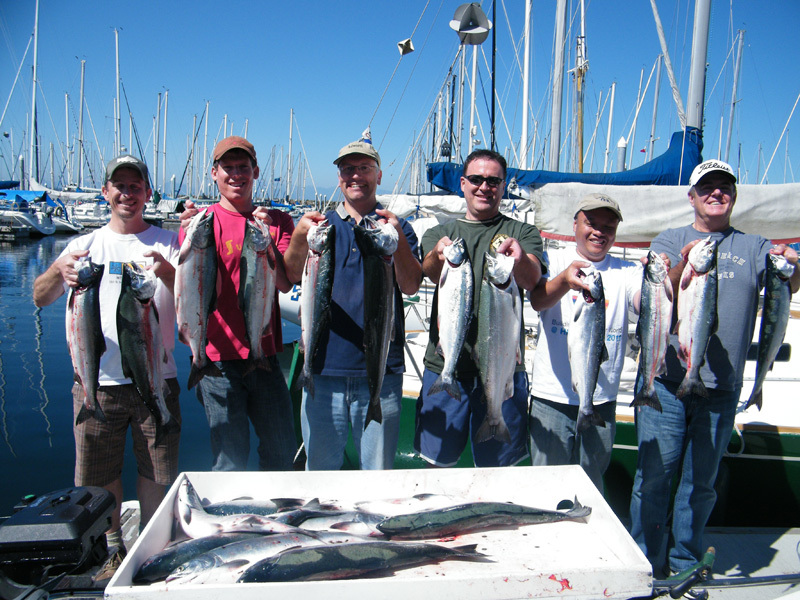 In Chinook fishing, time of day, tide, and boat position are critical. Having 3 moorages is a huge advantage for us in this fishery. 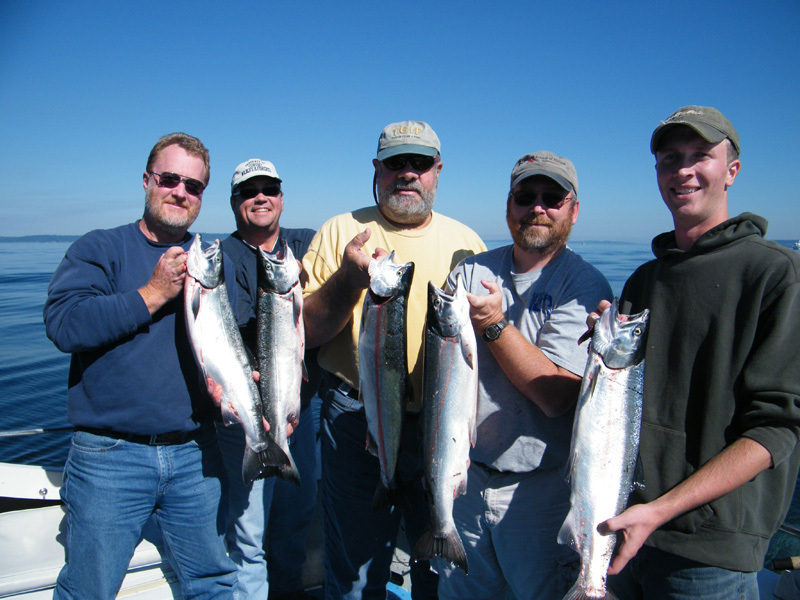 Often the best fishing can be at posession bar or other points far up North, or from mid August on, to the South in Marine area 11. 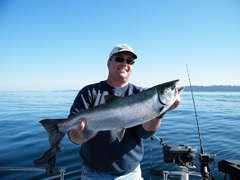 Some Seattle boats can take 60 minutes to get to the best locations- 2 hours of your 6 hour trip in travel. 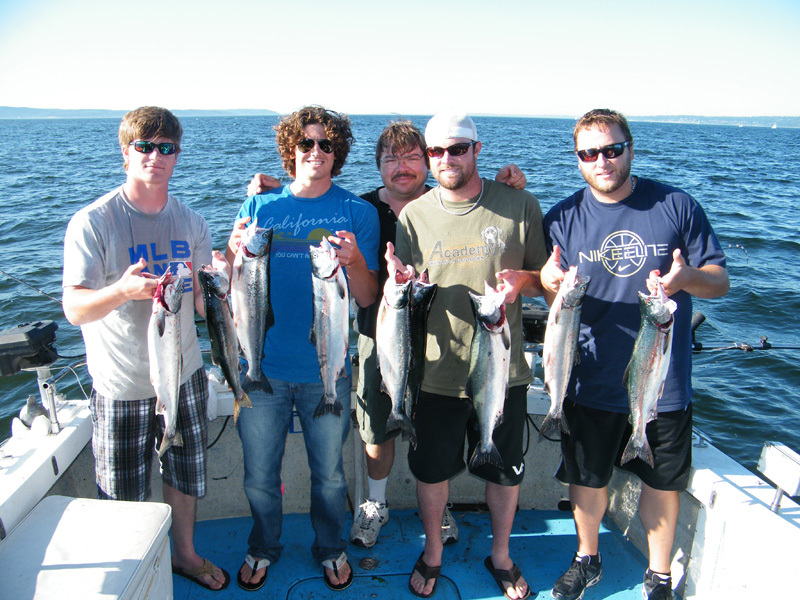 This is where a fast boat and our Port of Seattle, Edmonds and Des Moines moorages come into play. 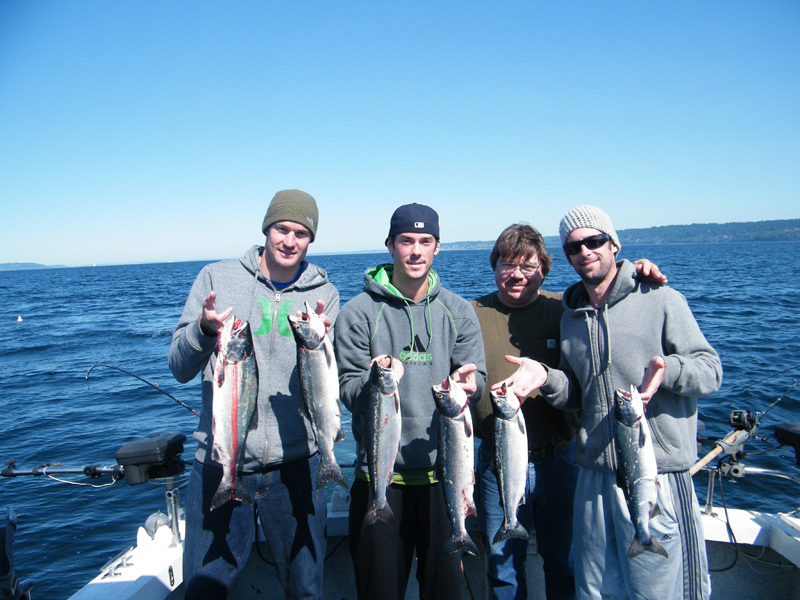 Our Seattle fishing trips can depart much closer to the best fishing. We can be fishing nearly an hour sooner and also stay later. The advantage to our customers is spending more time fishing and less time on a boat ride. All Fishing for King Salmon in the Seattle area are selective fisheries. This means that only fish that originated from a hatchery may be kept. Wild fish must be released. 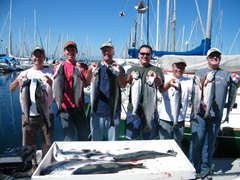 In a typical year we see about 60% hatchery salmon over the Summer season. Overall, the bulk of hatchery fish tend to return a little earlier than wild fish. These fish spend their first few months in captivity. A small fin is clipped off the smolt in order to identify it as a hatchery fish before it is released into the wild. After being released hatchery fish grow under the same conditions as wild fish and taste the same. Do not confuse hatchery salmon with farm-raised salmon. Please learn more about salmon life cycle here. 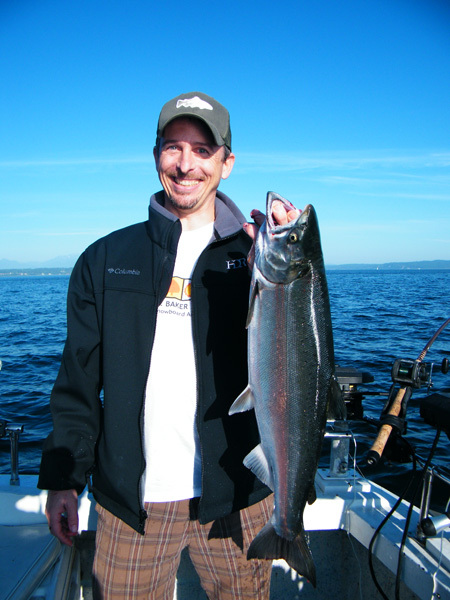 Coho salmon are an excellent hard fighting fish and great table fare. 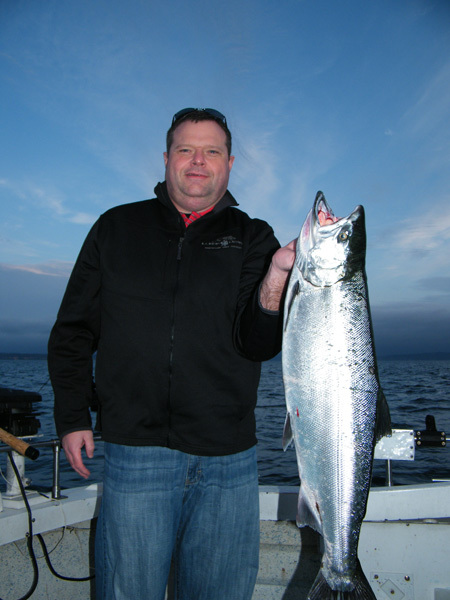 The only coho fishery in Puget Sound in 2016 is Hood Canal. 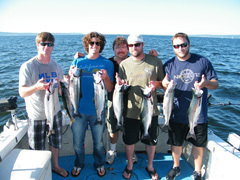 We are one of the few Seattle Fishing Charters offering Coho fishing departing from Edmonds. For other fishing opportunities please see our Crabbing and Bottom Fish page! Nebraska Fish and Wildlife had a great day!